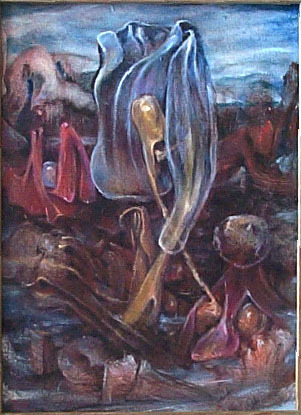 Title : Ten's Art 1998-11-5 Medium : Oil on panel 9"x12"
Title : Ten's Art 1998-12-2 Medium : Oil on panel 16"x20"
The following Artwork is considered dangerous by people with prurient disposition. VIEW AT YOUR OWN RISK ! This work may throw light into some of the darkest recesses of your mind and you might see what you are not allowed to see imperiling your soul.